These are delicious for breakfast, school lunch or brunch! You can make them in advance and store them in the fridge for a few days. Simply heat them for a few seconds before serving. Preheat the oven at 375F and line a muffin tin with baking cups. Grate the veggies and combine with the cheese, some salt and pepper. 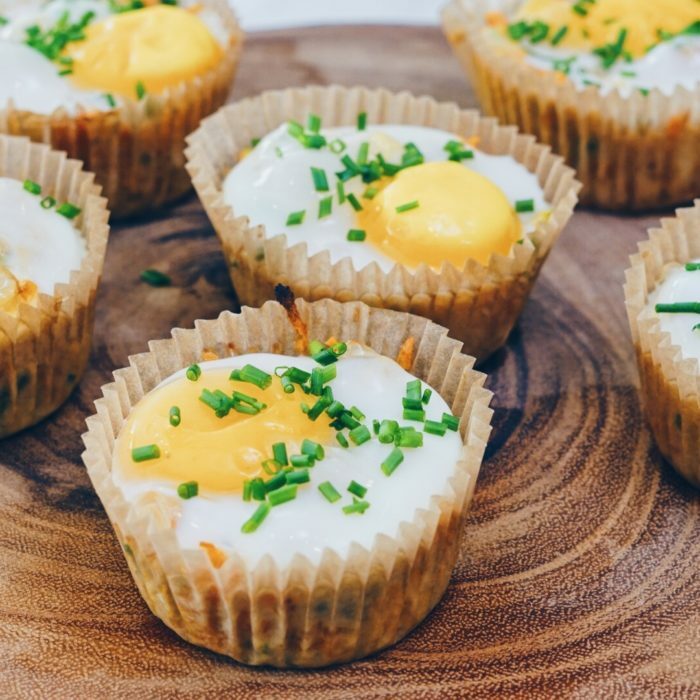 Scoop the veggie mixture in the muffin tins and crack an egg on top of each. Season with salt and pepper. Bake the nests for 13-15 minutes or until the eggs are at desired consistency. Enjoy right away or keep in a container in the fridge for a few days.